Tokuriki, Tomikichiro "No. 24- Yoshida Asama Shrine" - Woodblock - Chinese and Japanese woodblock prints for sale, silkscreen, scrolls, watercolor, lithographs. Artwork Details for Tokuriki, Tomikichiro "No. 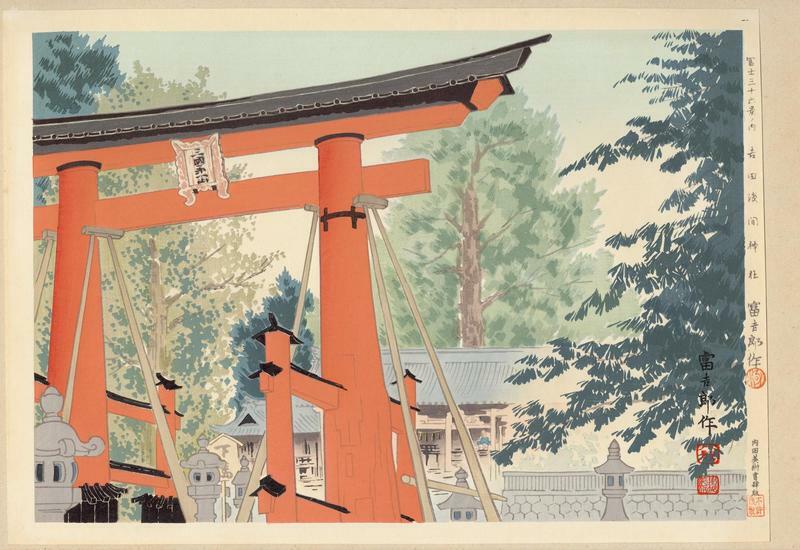 24- Yoshida Asama Shrine"
Notes: See here for full details of this remarkable series by Tokuriki.